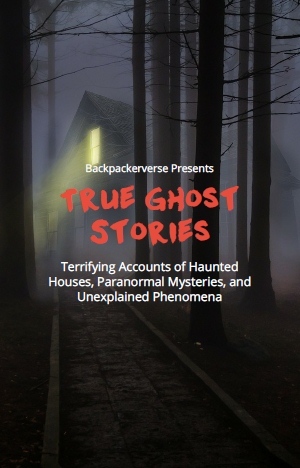 My family had never been particularly superstitious and certainly didn’t believe in ghost stories or the paranormal. That’s what made what happened to me an even more frightening experience, considering the bizarre circumstances. The first three decades of my life were quite average, having gone to college, marrying and having children. My wife and I weren’t very religious and didn’t go to church. We weren’t even sure about the reality of God. Therefore we maintained an agnostic outlook, preferring to keep our minds open, even if predominantly skeptic. When I reached the age of 33, strange events started happening, to the point where I thought I was going crazy. It started with a series of bird sightings. In particular, they were black ravens – always appearing in threes. Every day for nearly three weeks, I saw three ravens: on the lawn, on fences, on power lines and other places. I asked a colleague at work about the ravens and she said that it was an omen – that someone was about to die! When I told my wife she laughed at me, but I was slowly convinced that something bad was about to happen. I felt like I couldn’t escape them, but when I drove to work the next day, I was relieved to notice zero ravens. My relief was short lived however, when I got to work, I felt pains in my chest growing into a full-blown heart attack! I was rushed to hospital and admitted. Soon I began to fade in and out while I waited for my wife and the doctor. As I lay there, I heard the fluttering and flapping of wings. When I opened my eyes – I nearly freaked. Three large ravens were perched on the end of the bed, surrounded by a white mist and watching me intently. I was so weak that I couldn’t open my mouth to scream, but then I noticed a looming figure appearing in the mist. I couldn’t believe my eyes. It was my dead grandmother, wearing long, flowing robes and smiling sweetly. She looked down at the ravens and stroked them before looking back at me and saying, “Are you ready to join us?” I started to weep and shook my head. I didn’t want to die! The problem was, I couldn’t tell her I didn’t want to go. She floated over and placed her hand on my head, then I saw my life flashing before my eyes as I continued to weep. I could hear her voice telling me that I hadn’t taken care of my health and that I’d have to say goodbye to my family. The ravens started to call out and ruffle their feathers as a spiraling tunnel came into view, like a white tornado. I felt myself rising off the bed and floating through the tunnel, holding my grandmother’s hand and crying hard. My grandmother said, “There’s nothing to fear!” as the ravens continued flapping and calling out loudly. I yelled, “My children! My wife! I can’t leave them!” as we continued being sucked up into the swirling tunnel. I’d heard about people’s stories about death being a peaceful event and how they didn’t want to come back. It was a different experience for me. I was terrified of leaving my family and going to a place I had no idea about. I pleaded and promised that I would take care of myself, if only I could see my wife and kids again. Suddenly I felt like I was falling a million miles an hour, then I slammed onto the bed and felt the searing pain. I looked up and saw my wife and kids peering down at me, crying and asking the nurse to help me. After an operation and planning a healthy lifestyle, I was eventually allowed to go home with my family. 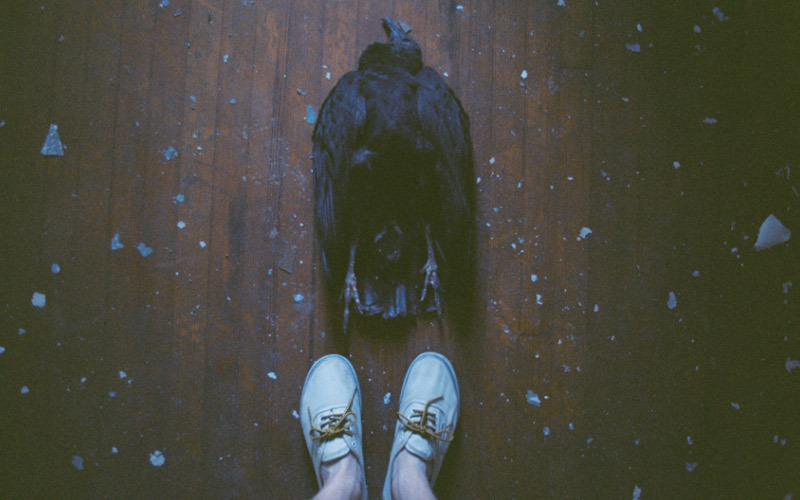 I’ll never forget that day and I changed my mind about the afterlife, but did my best to stay away from ravens.